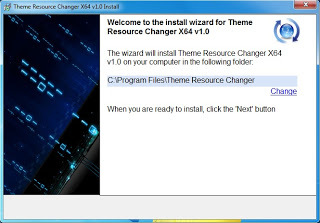 Theme resource changer installed once on your system will do it's magic for any theme you use. Package includes theme resource changer for x86 and x64 systems, test theme already set up with the folders and images to show you how its done and how simple it is. After the app is applied you can apply the test theme right away to see how easy it works.